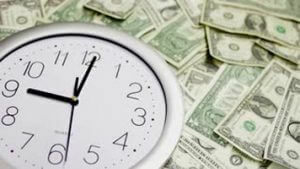 Is Poor Time Tracking Killing Your Profitability? No one would willingly harm the profits of their business, but – unconsciously – many bosses and managers are doing just that, every single day. Business owners are consistently taught to reduce costs and to grow sales, but too often their actions are hurting profitability. Profitability impacts many different areas of your company – such as projects, resources, and departmental budgeting. You can certainly take actions to flip your department from cost center to value driver, but it’s crucial to first understand what is negatively impacting your profitability in the first place so you can determine the best steps to take. To help you and your business avoid these profit-damaging pitfalls, I’m going to profile the three top profitability killers which are harming your business over the next three posts. Today, I’ll be talking about how poor time tracking is damaging your profits. Are Your Projects Winners or Losers? For modern business owners, the primary cost their organization must bear is that of labor. This was not always the case; in past generations, low wages and less restrictive employment legislation drove labor costs down, and most businesses identified materials as their chief expenditure. Unfortunately, many accounting departments have not yet made the shift into the modern age. They carefully track the exact materials cost of each individual order, recording it alongside the revenue received from the eventual sale of the product. Labor costs are of course recorded additionally, but they are not attached to the order with the same precision as materials, which is a big mistake. If profitability is to be protected – or even measured at all – the upper levels of an organization must be able to assess which projects are making money and which projects are losing money. Understanding and keeping track of labor costs, in addition to material cost, is vital if this is to be the case. Let’s take the example of an engineering firm with 150 engineering projects taking place concurrently. One of these projects has two engineers assigned to it; both of the engineers are registered as working on this project and their job hours are logged. During the project, the engineers run into a problem. They call their superior, another engineer assigned to another project, who takes a look at the problem. The working hours of the superior engineers are not logged, and neither is the time he spent away from his originally assigned project. When reviewing the log for the first project, the executives conclude that the project came in under budget and was a success, while the superior’s project was not completed on time. The above example illustrates how important it is to adopt a more fluid approach to accurate time tracking within your business. The methods by which you track the time of your employees must reflect the way in which you do business. If the above example is applicable to your organization, then it is time to implement a system so employees can accurately track time on individual projects. If you want to find out more about other potential profitability killers, download “The Top 3 Profitability Killers You Don’t Know Are Harming Your Business”.